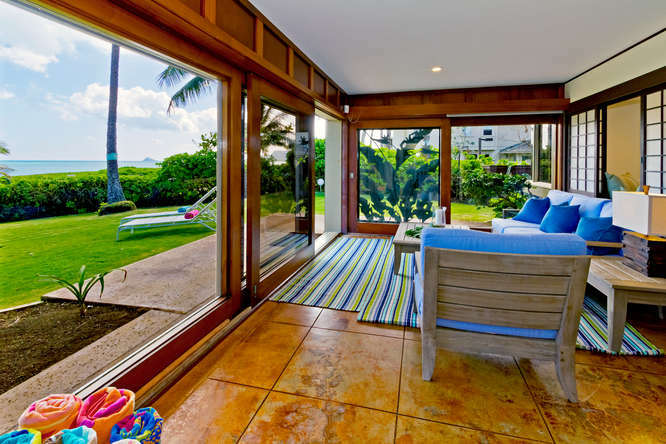 Hawaiian Charm – Luxury Vacation Homes, Inc. 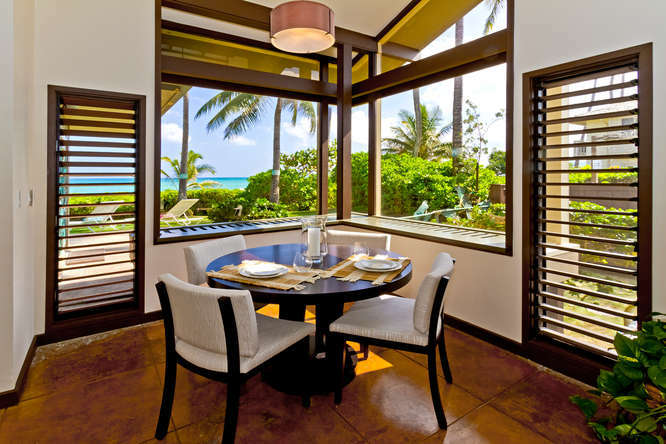 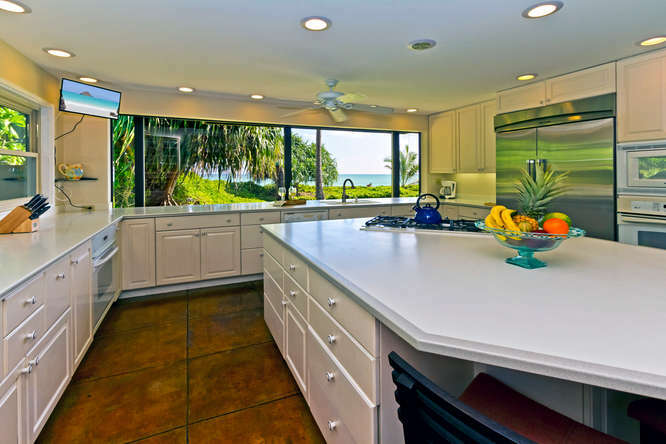 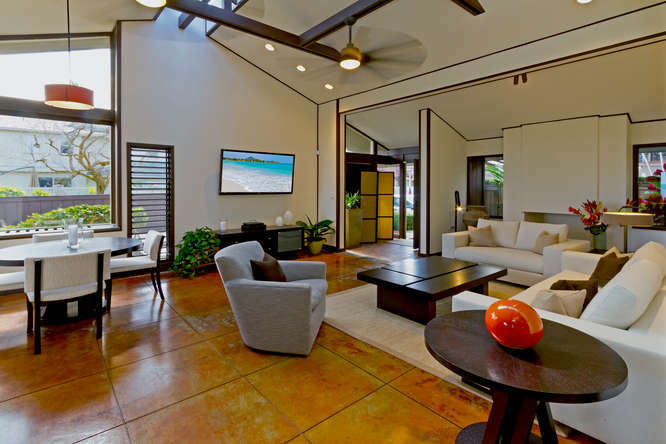 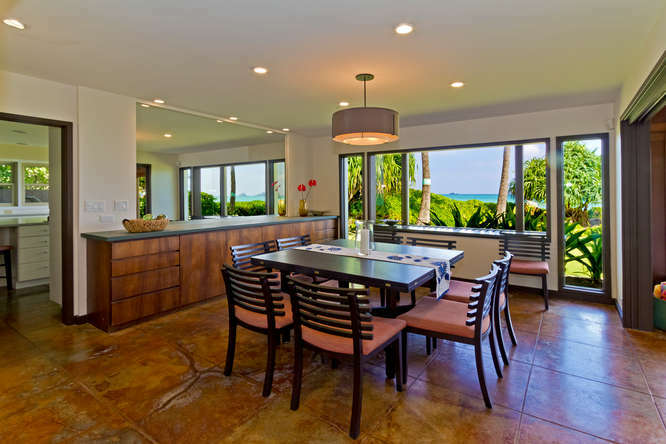 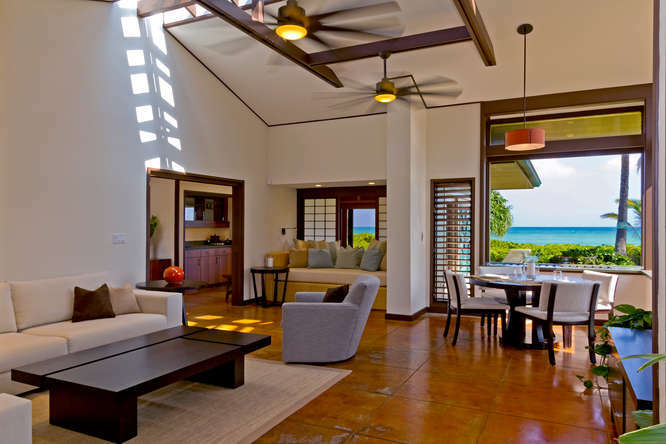 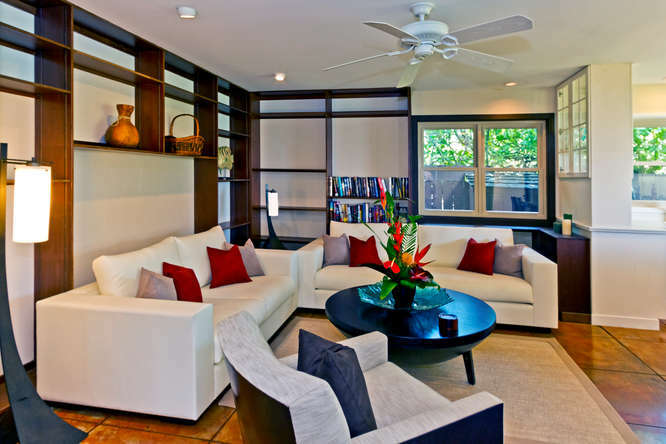 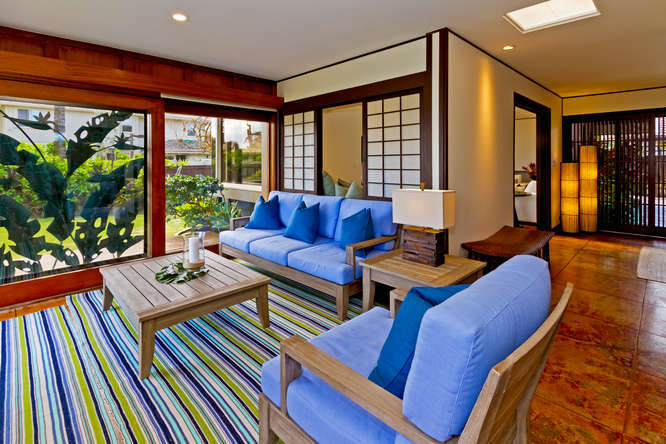 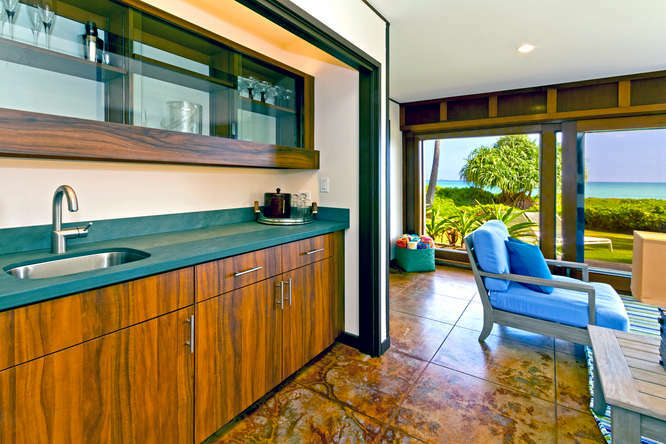 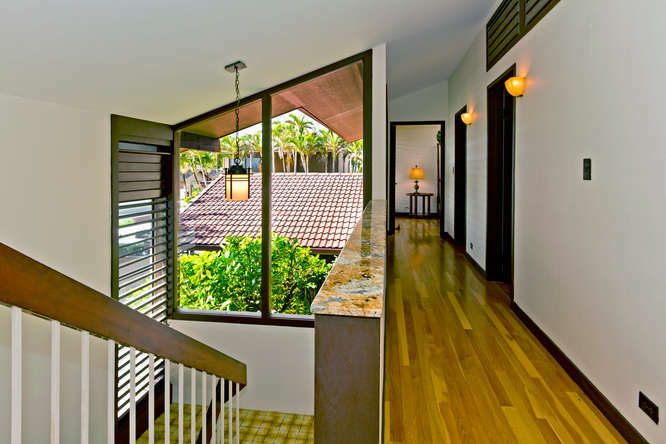 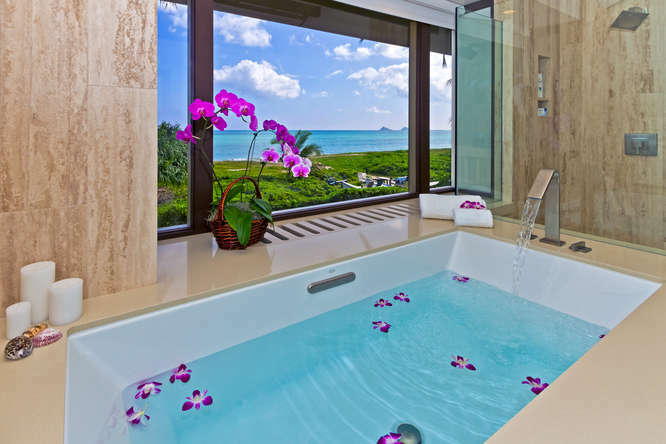 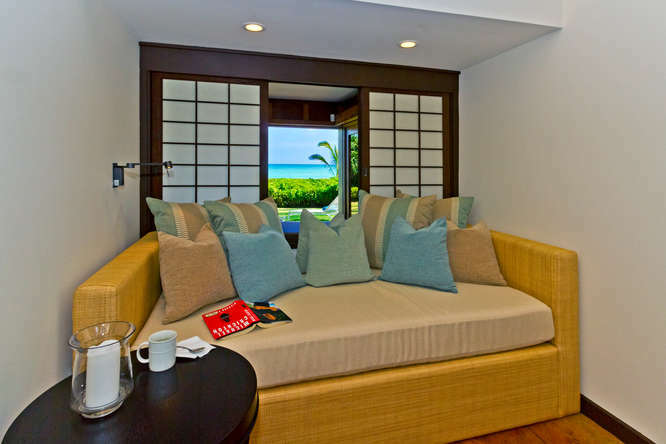 Stunning Kailua beachfront residence, designed with your care-free island lifestyle in mind. 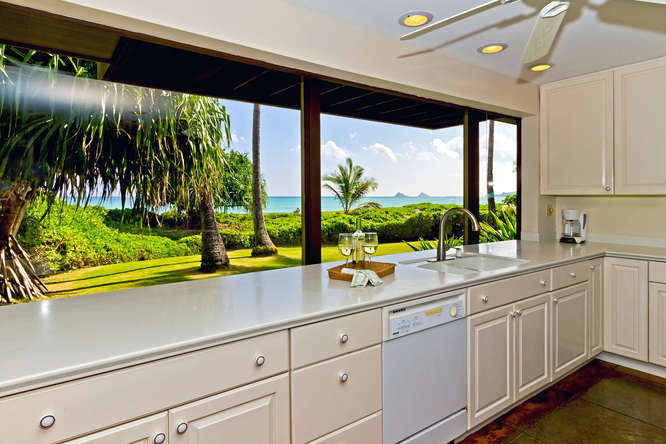 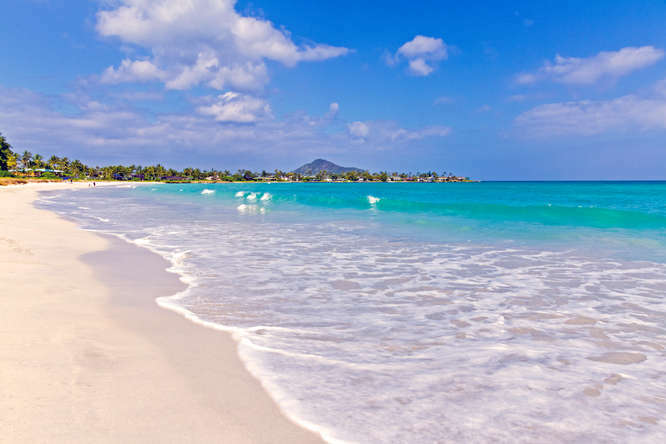 Wide turquoise ocean views looking over sandy Kailua Beach and beyond to the Mokulua Islands. 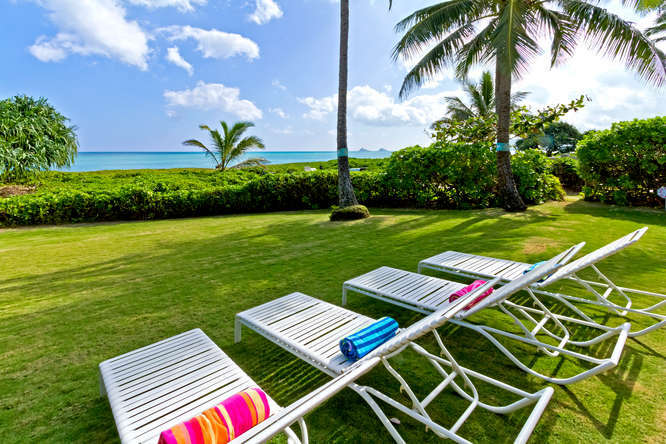 Located in the Hale Kai Surf & Racquet Club in Kailua. 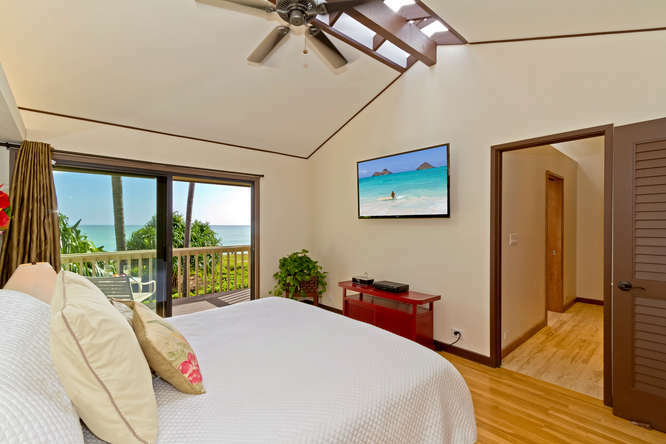 New upgrades make your stay on Kailua Beach effortless and relaxing, completely remodeled gorgeous upstairs ocean view master bathroom, downstairs polished concrete and wood floors, high ceilings, newer windows and fresh paint and fresh furnishings! 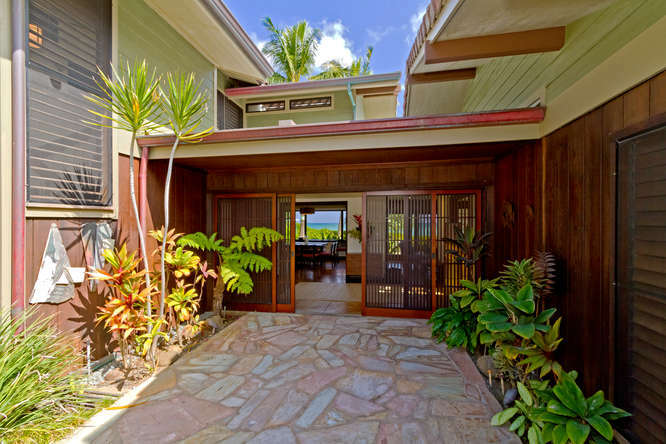 This two-story, charming beachfront home is located on one of the most family friendly beaches in Hawaii. 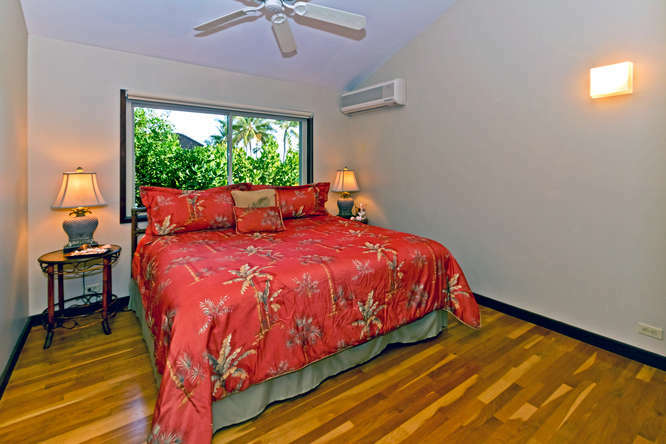 This comfortable 5 bedroom, 4 bath home has air-conditioned bedrooms. 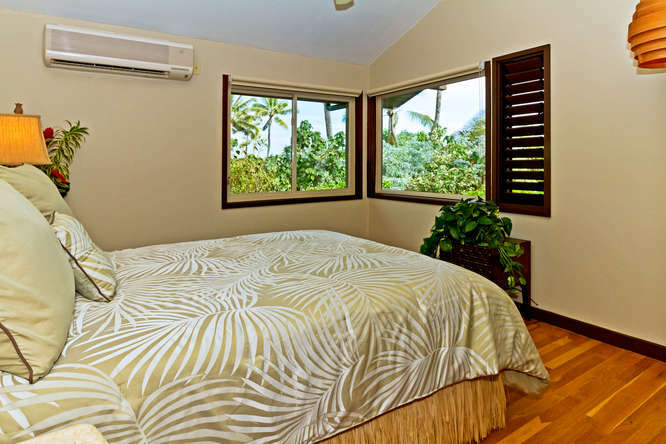 The Master bedroom along with 3 other bedrooms are upstairs. 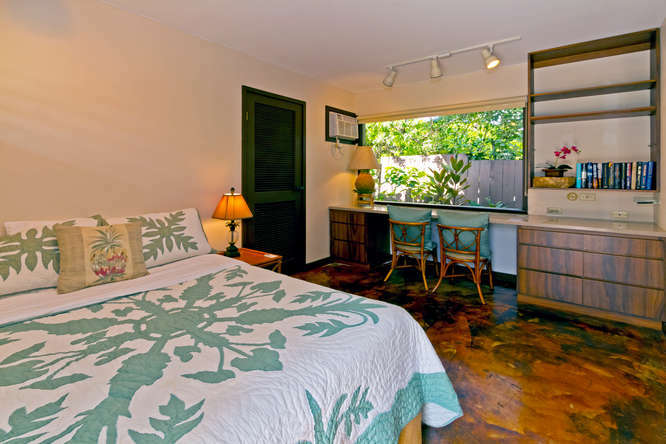 One additional bedroom downstairs. 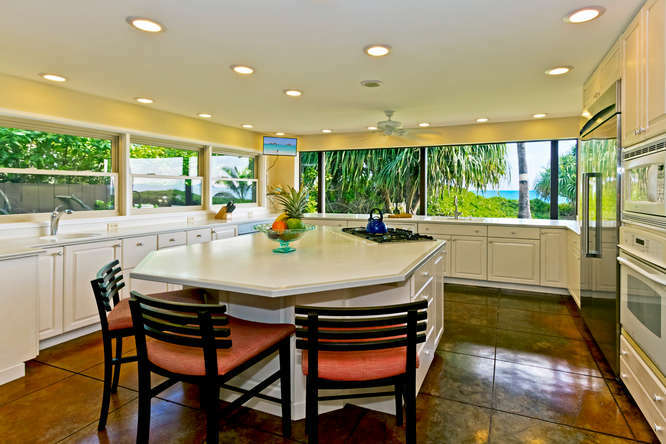 This home features high open beam ceilings with sky lights and new ceiling fans, spacious open island kitchen, wet bar, desk area with fax/laser printer, wireless Internet access, and a stained glass powder room. 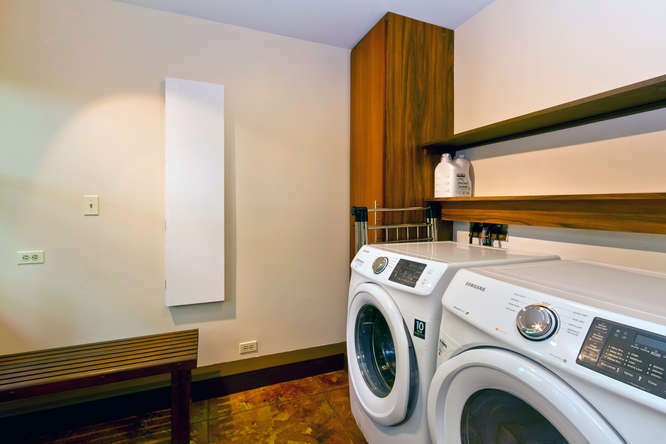 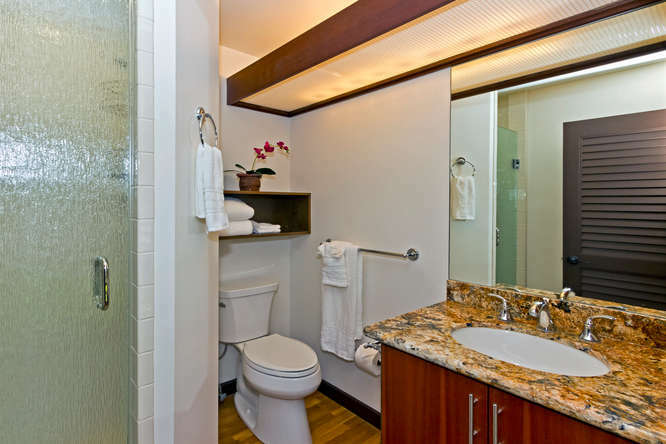 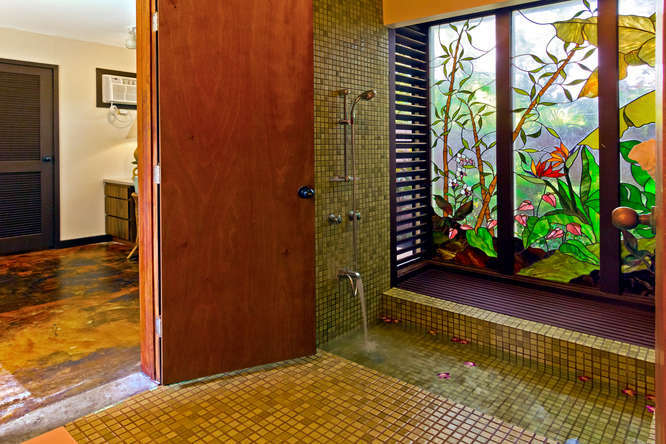 Amenities include an enclosed courtyard with waterfall and Koi pond, heated outdoor shower and security features. 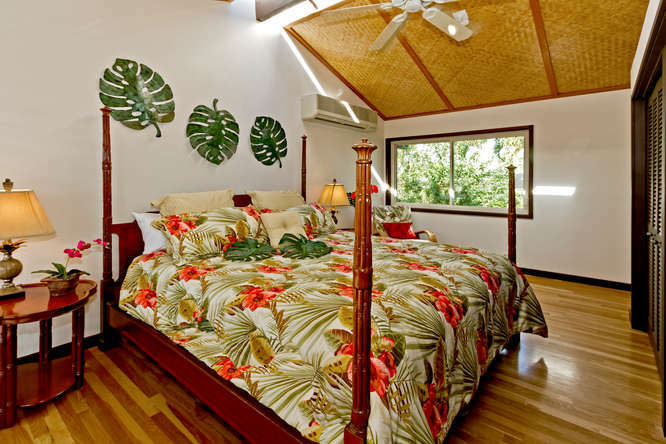 Decorated in a Hawaiiana motif with teak, bamboo and rattan. 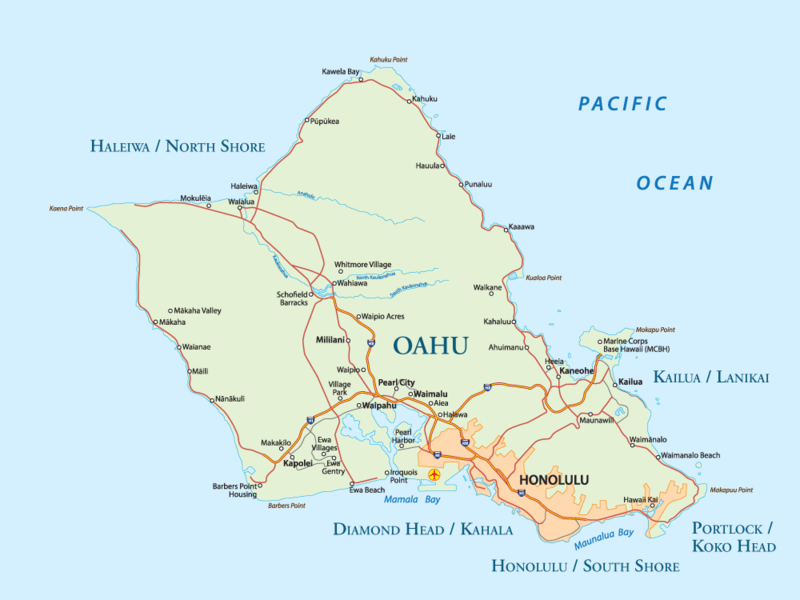 Also enjoy beautiful artwork from local Hawaii artists. 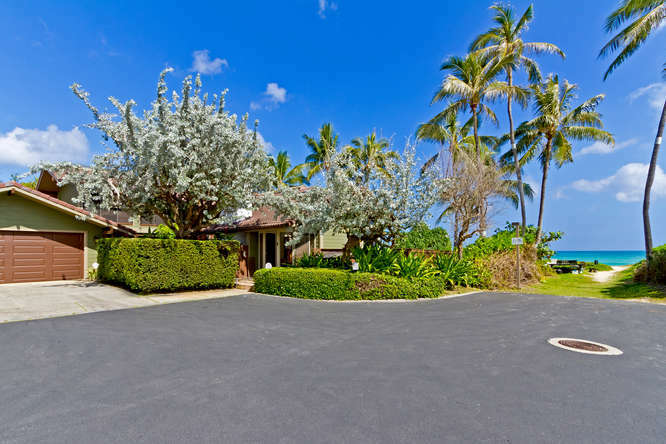 Lovely ocean side yard and beautiful tropical landscaping surround this property with a private inner garden courtyard. 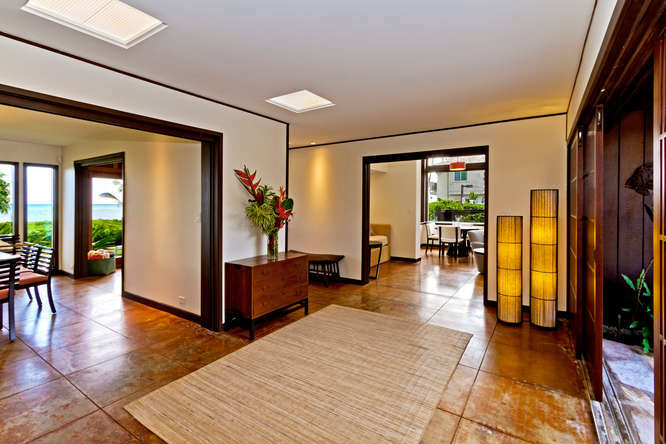 Home is currently for sale and is subject to showings with notice. 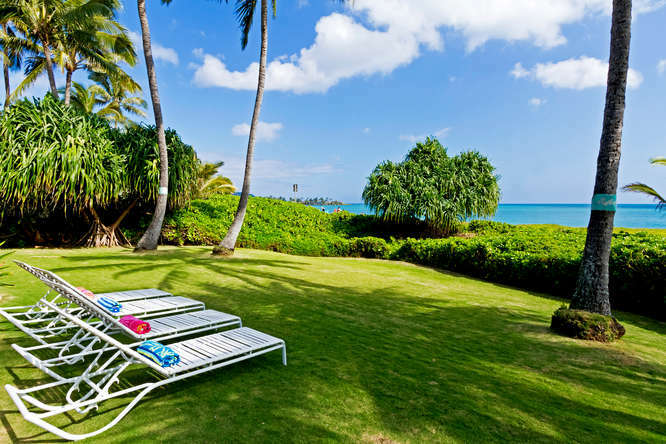 Access to the community pool and 1 tennis court is available after 1:00 pm daily.